How can that be wrong ? Man, I've been doing it all wrong, this is much easier! I like it, it's so logical! I Never thought about that, that's so smart!!! this was on the Graham Norton show!!!! 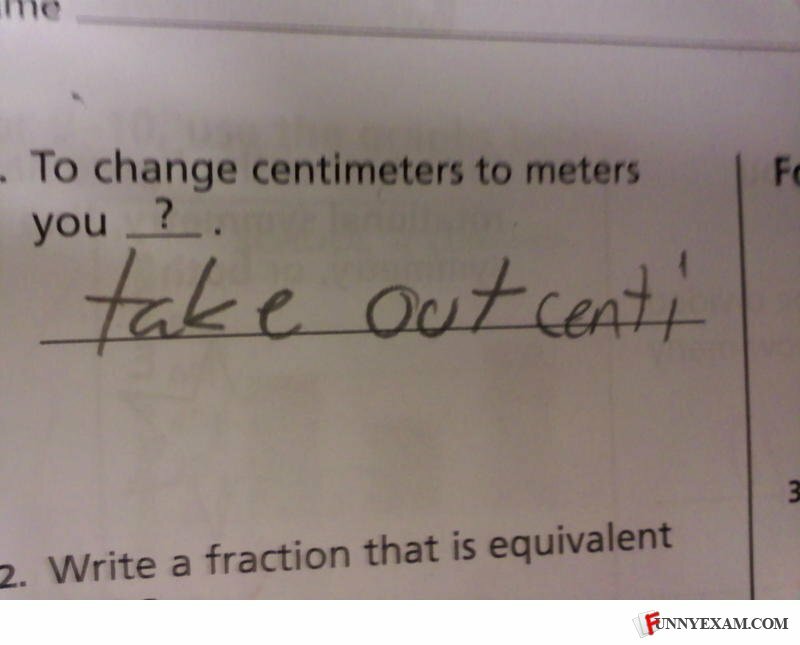 centimeters - centi = meters. It's not his fault the teacher gave unspecific instructions. I always knew this was a trick question! thats technically right ;] im ganna put this answer on my next test LMAO !!!!!!!!!!!!!!!!!!!! its correct :} haha im ganna put this on my next test !!!!!!!!!!!! very clever lol i like your thinking! He answered it, now **** off Meter, Centi!